This week, I’m going to do a little aside to my regular articles in which I talk about events and people that were a part of Windham’s past and instead talk about an event that will actually bring Windham’s history to life. 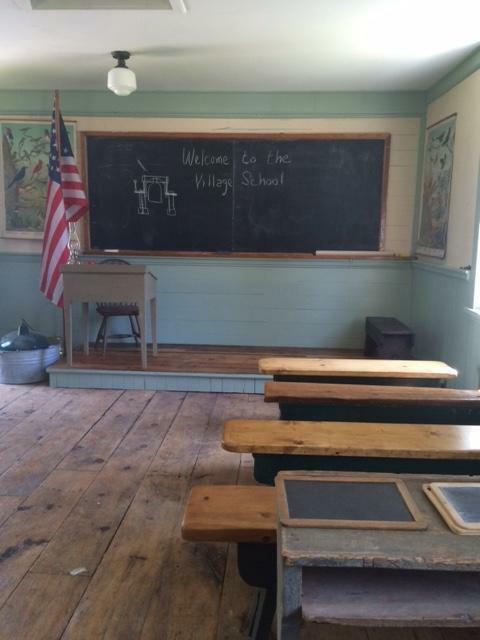 On Saturday, Aug. 25, the Windham Historical Society will hold a Grand Opening Celebration to introduce the public to its authentic one-room schoolhouse, The Village School, located on the Society’s Village Green, 232 Windham Center Road. This unique event is a chance to spend some time exploring a schoolhouse that depicts the look and feel of what school days were like at the turn of the 20th century. Society members will dress in period attire and take visitors on tours of the building that was painstakingly assembled based on research into the one-room schools that once dotted the Windham landscape. Some materials used in its construction came from old schools in town. At one point, there were 19 schoolhouses in Windham, one for each of the town’s school districts. Windham’s earliest students would have attended class at the home of our first settler, Thomas Chute, where his wife, Mary, served as schoolmarm. She later set up class in the Province fort where students continued to be educated for some years. The town’s first schoolhouse was built in 1772 on River Road near the site of the fort and was called the Anderson School, named for a prominent settler of the time. By 1789, there were six school districts, but it is unclear as to where children attended classes. In 1798, the town voted that official schoolhouses should be built in each district, providing neighborhood children the capability to receive a formal education. Most of these schools, like The Village School, were just one room. The Village School is set up to represent a schoolroom of the late 19th century. Upon entering, you’ll be in a cloakroom where children could hang their coats and other outer garments on pegs. There is a large bowl with a ladle for water that would have been refilled throughout the day. Children would drink from the ladle or from tin cups they brought from home. Inside the actual classroom is a large woodstove, which would have served as the primary heat source for the building. One of the older boys would have been responsible for bringing in wood for the day and keeping the stove fed. Students would normally have ranged in age from 6 to 16, although my research revealed that in 1900, the Arlington School had students as young as 4 and as old as 20. One teacher would have taught eight grades. Female teachers were schoolmarms and males were schoolmasters. There were two terms, summer that went from May through August and winter from November through April. A school day went from 8 a.m. to 4 p.m. Desks in The Village School are much like those that would have been found in a classroom of the 1890s. There are slates on the desks that children would use when solving their arithmetic problems. (This was called ciphering at the time. Benches along the walls are where some students may have participated in a spelldown, or a spelling bee as we call them today. Penmanship was very important back then as it indicated good breeding and it would have been practiced with quill pens and ink in copy books that students made themselves. Recitation, or elocution, was another key element in the 19th century classroom and scholars would be called upon by the teacher to recite a poem or prayer from memory. Lessons would have been taught from “McGuffey Readers” and The Village School has plenty of these on hand. You can see some original “Readers” behind glass and there are also replicas for visitors to browse through. It is the Historical Society’s hope that in 2019, Windham third- and fourth-grade students will get the chance to have a total living history experience in The Village School. They will visit the school for a two-hour session dressed like students living in 1898. They will be given and use the names of actual students who attended Windham schools around that time. There will be a schoolmarm, Miss Gould, or a schoolmaster, Master Hawkes. Students will be told of the current events of 1898 and recite the Pledge of Allegiance of that period. Lessons taught will replicate those of the time. This fascinating approach to education will help today’s students better understand what life was like centuries ago and appreciate how far we have come over the decades. The grand opening of The Village School on the Society’s Village Green is just a small glimpse of what students have to look forward to, but in this case, children of all ages are invited to attend. The event is free of charge. Stop by any time between 10 a.m. and 2 p.m. for a tour. Refreshments will be served in the Society’s Town House Museum, where there is also a whimsical toy exhibit on display that will add to the pleasure of the day. Donations are always welcome and help the Society to continue expanding and improving the Village Green. Be sure to take advantage of this wonderful opportunity to have fun with and experience history first-hand. 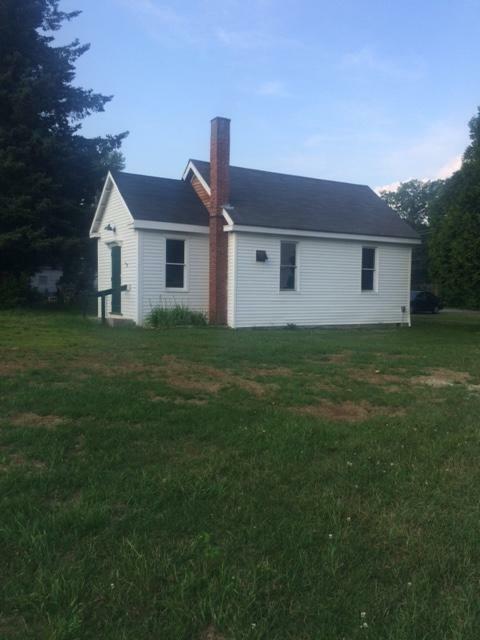 The schoolhouse will provide a living history experience to Windham students. The Village School on Windham Historical Society’s Village Green.